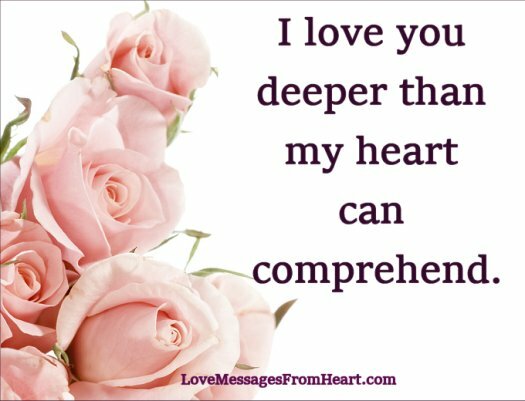 I love you deeper than my heart can comprehend. I love you from the bottom of my heart, like a deep eternal well. My dear, I just wanted you to know that my love for you is pure and loyal. You are my heart and soul. I have never thought that I could love anyone as much as I do, but every day it is more. My love for you is like a bottomless volcano that emanates love constantly. You are the part of me that I will always need. I love you very much. For the rest of our lives, together, hand in hand, heart to heart, we are tied in love.